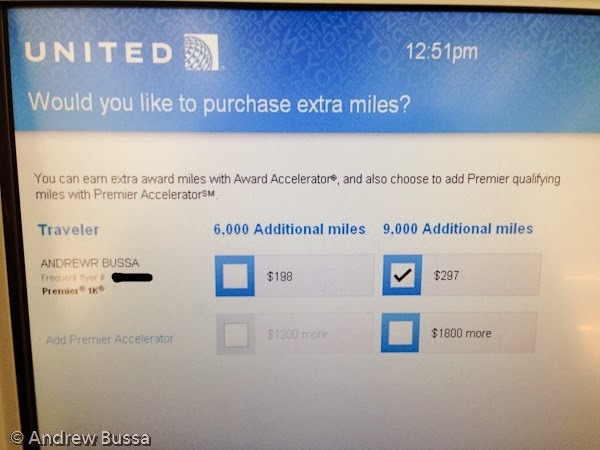 Need some extra United elite miles, but don't want to spend a day or two flying around? Well United is happy to sell you elite miles, five for a dollar. Yes, 20 cents a mile. That's a miserable rate. I booked a mileage run for December at only 5 cents an elite mile, but that earns redeemable miles too. The amounts they offered to sell me also don't get me across any particular mileage threshold either. You also have to buy the same number of redeemable miles in the same transaction, further increasing the cost. Sounds like a great idea ruined by a bad pricing model.